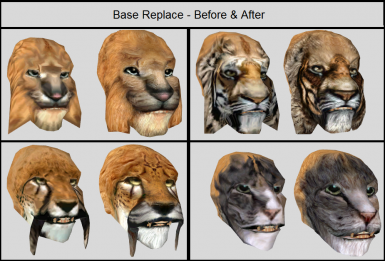 Pluginless version of the 8 base khajiit heads. Meshes and Textures in this base pack are highly edited versions of vanilla. 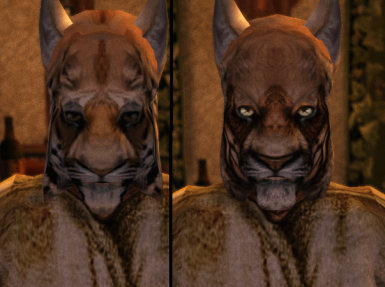 They may be freely distributed/edited (for Morrowind purposes). Added a whiskered version. 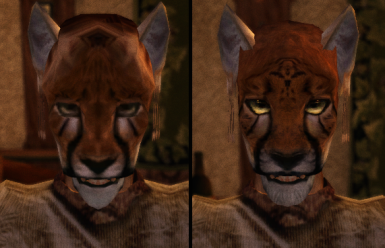 Had to dance around a hat while juggling chainsaws and singing the british national anthem to get it working ingame, but THEY'RE WHISKERED NOW GOSH DARNIT! Ahem. 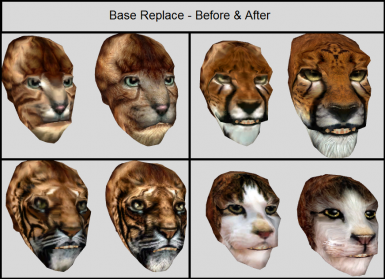 Pluginless replacer version of the 8 base khajiit heads.